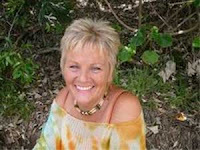 Blossom Goodchild is a direct voice channeling medium for spirit and cosmic energies. She recently channeled a message from the Federation of Light about one of their crafts appearing in our skies on October the 14th, 2008 for 3 days to prove to the world that there is other life in the cosmos. They are here with a message of peace and to help us move to a higher vibration of Love & Oneness. ALL PEOPLE OF EARTH …. During this time there will be much commotion upon your earth plane. Your highest authorities will be intruding into ‘our’ atmospherics that surround our ship. This ‘security field’ is necessary for us, as there shall take place a ‘farce’ from those in your world who shall try to deny that we come in LOVE. Which ever you may be … let this be understood. We say to you … That shall certainly be enough to comprehend initially. If we do not intervene now … as has been planned for eons of your earth time … then we fear it would be too late. Our technology is far advanced. There are those in high places of ruling that KNOW full well of this. Therefore they know that there would be little point trying to ‘pretend’ that they need weapons to destroy us. 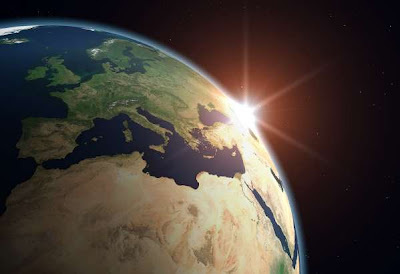 WE … THE FEDERATION OF LIGHT … SIGN OFF, GIVING YOU ENCOURAGEMENT AND HOPE AS WE BEGIN THE ASCENSION INTO THE NEW WORLD. May the Highest aspect of your soul fill you with Light as you move bravely forward. I am aware that Alabama is NOT in the Southern Hemisphere. I queried this to the Federation and was told … ‘In days of old, it used to be’. If anyone can find information on this, I would be most grateful if you could contact me via my website. It has also been suggested that ‘Alabama’ maybe the name of a craft. On researching it appears that Alabama has a NASA space centre. . It required great courage to send this out. I hope this allows you the courage within yourselves to continue on your own personal search for YOUR TRUTH. "By the year 2008, the fact that we are not alone in the universe will be made undeniably clear to everyone on the planet. With millions of planets and billions of stars, I cannot fathom how we could ever thought in any other terms. However, for those who have doubted, the extraterrestrials will make themselves known. I believe they feel they have no choice but to show themselves as we verge on self-annihilation, genocide and toxic poisoning. The truth of our inter-galactic lineage will become common knowledge. If I am to believe the vision, the truth of our intergalactic lineage will cause humanity to take one wild ride." Translated from the Choctaw language of the Alabama tribe name as thicket clearers, compounded of Alba meaning "a thick or mass vegetation," and amo meaning "to clear, to collect, to gather up." Thanks Beka for the knowledge you share ! it doesn't say "in the southern hemisphere", but "in the south of your hemisphere" - well, alabama is somehow in the south of your hemisphere isn't it? 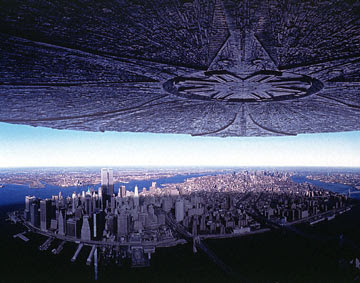 I had a dream about the planet Earth being visited by huge fleets of spacecraft back in 2003. "Alabama" might be symbolic, or a codename, for something more abstract. God bless.